How do you generate leads for SaaS? To generate leads for your SaaS business, you must engage your target consumers and in the process convert them into loyal ones. There are a myriad of tips and guides online, but if you’ll look closely, everything boils down to few, but highly efficient practices. These involve carrying out content marketing, being featured in trusted B2B review sites, conducting email marketing, and getting advertised in leading social networking and media sites LinkedIn and Facebook. Ask any marketing expert and you’ll likely be told that there’s no single best lead generation technique. Rather, there really are a number of best practices employed by SaaS marketers, which we have culled in this guide. The key is finding the right combination that works for you. And keep measuring the ROI to keep improving your conversion rate. 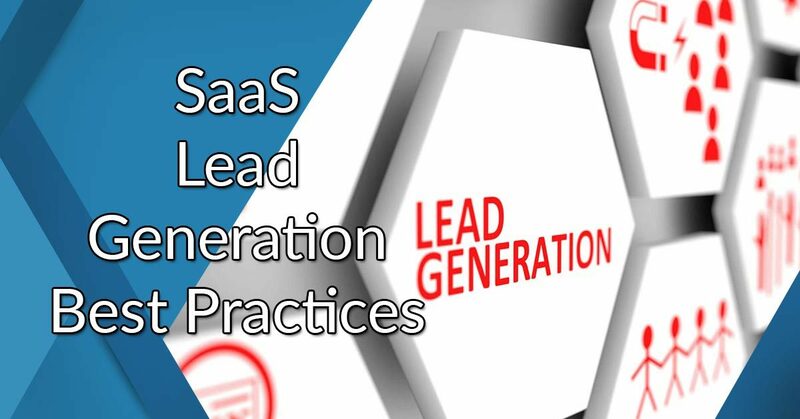 In this strategy guide with examples, we present SaaS lead generation best practices to help you answer the perennial marketer’s question: How do you get more sales in SaaS? What is a SaaS Lead Generation Program? What is the Process of Lead Generation for SaaS? How Can I Generate Leads for my SaaS Business? Inbound lead generation is pull marketing, the opposite of traditional push or outbound marketing. Instead of reaching out to prospects, you leave a trail of value content and incentives across your online and offline space in inbound lead generation. Customers take the initiative to approach you in their terms and timing. Inbound lead generation fits the B2B buyer’s behavior today, where customers will have researched about you and compared you with the competition long before your sales rep get the chance to contact them. By then, the bulk of the buying decision has been shaped or influenced by content they’ve found. The latest Demand Gen Report showed that 78% of customers read three or more materials before reaching out to a salesperson. Are your future customers reading your content or the competitor’s even as you read this? The product is the service. Although you’re selling software, you’re really selling the service. SaaS is selling a work-in-progress product by providing continuous support for regular updates, upgrades and the occasional troubleshooting. Sales cycle is short. Subscription is usually designed around monthly terms. Customers can get in and out easily, leaving you with a fluid subscription base month over month. Content marketing is very important. None in the B2B sphere, perhaps, where content matters most than in SaaS. There’s always the need to, not just promote your product, but own authority in your niche to capture leads by continuously publishing guides, industry reports, tips and techniques or conducting webinars. Loyal customers are for keeps. Given they are happy with you, customers have less motivation to migrate to another vendor considering the hassles in changing systems. So, the best SaaS lead generation strategies for your product should take into account the above features. The diagram shows us that the lead gen process sends prospects through your marketing and sales funnels. While traditional marketing will have these two as distinct pipelines, not so with SaaS. Here’s why: like other vendors you are likely to rely on monthly subscription. Even as you provide post-sale service you continue to promote more services and hope your subscribers bump up to your premium plan or, at the least, don’t leave you the following month. In fact, the diagram above is better presented as a loop, feeding your customers to the Attract stage for another round of lead generation process, this time, for a premium offer or a cross-sell. In SaaS, the lead gen process is likely to reside in the CRM system, the core software that provides the pipeline from leads to deals with an integrated, single, 360-degree view of the customer. Other “customer-engaged” business systems may integrate with the CRM, such as helpdesk and inventory management, which record customer queries and transactions, respectively, and associate these engagements to leads. Whatever B2B SaaS lead generation techniques you use below you will need a CRM software to automate workflows, deliver a personalized service and, ultimately, maximize conversions at every stage of the lead generation process. For that, you can turn to our comprehensive list of top 10 CRM tools here. Based on our analysis of features and value proposition, HubSpot CRM tops the list. It’s free and robust and natively integrates with the other popular HubSpot tools. You can sign up for a free HubSpot CRM app here. Aggressive sales pitches and advertisements may be effective a few years ago but nowadays, having quality content is more important for engaging customers. 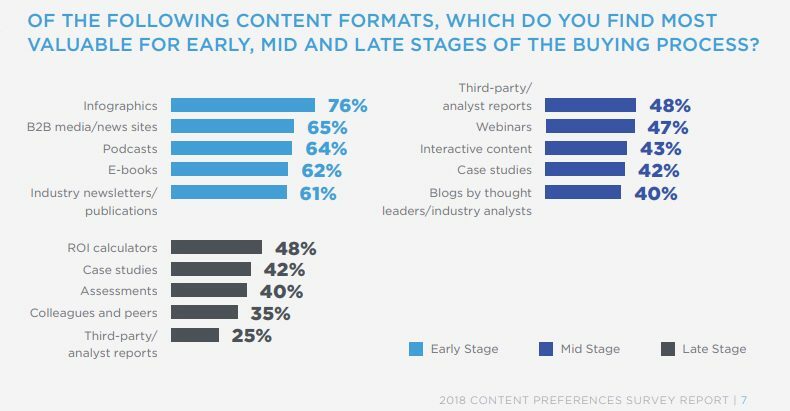 This is why it comes as no surprise that in The State Of Content Marketing 2018 Report, 86% respondents said they have a content marketing strategy for their operations. DemandMetric also found that content marketing results in 3x more leads vs. traditional marketing, while an Aberdeen study showed that adopters have 6x higher conversion rates against non-adopters of content marketing. Shortlist topics. These can be authoritative, original, trending and interesting to your buyer personas, and which you’re an expert in. Develop an SEO strategy. Here’s the deal: SEO is a major component of content marketing. Your content has to be found on page one of generic searches. Without search traction all your content will underperform. So don’t scrimp on resources even if it takes months, even years, to get significant SEO results. For the “tricks of the trade” you can find key pointers on search marketing here. You can also go to other experts: SEOmoz, SEMrush or Neil Patel of KissMetrics or discover their tools in our reviews here: Moz, SEMrush and KissMetrics. Blog regularly. Preferably daily or at the least, weekly. Coming up with new content consistently is a major factor in search algorithm. Create a link-building plan. Technically a part of your SEO plan, link building connects your content to the right websites–another plus in search algorithm. However, this should be done properly, ensuring the backlinks make sense and your content have real value to the linking websites. Google’s penalty for so-called link schemes is heavy and will jeopardize your content marketing plan for the long haul. Measure metrics. What metrics should you track? The basic ones include: page views, downloads, users and demographics. You can break down these metrics further, focusing on average time on page, new vs. returning, sessions and referral traffics. Most SEO software in our database generate these metrics on KPI dashboards and reports. You can check these SEO software tools here. SaaS review directories offer a fresh PPC channel where other PPC ads like AdWords and sponsored social media may be too crowded. We are a major B2B review site, yes, one of the fastest growing marketplaces with over 5,000 business applications conveniently indexed for SaaS buyers, many of who are your future customers. How do we, SaaS review directories, capture leads for you? Through a 2-tiered approach that captures generic searches. Websites like us rank high on generic searches because Google places value to the convenience we provide B2B researchers (it goes without saying that we’re talking about the top review sites here including our marketplace). Your review page on our site is provided a direct link to your free trial landing page. This is the fastest way to convert our readers to your leads, generating as much as 24% conversion rate. You can have a direct link from your review page on FinancesOnline to your landing page as shown here. Your product enjoys priority listing in relevant categories, a huge advantage in a crowded software niche. Most reader hardly check the entire listing and will focus only on the topmost solutions. Many review sites like ours have myriad criteria sets for various software features. We believe no single software can address all user pain points; some are good at one feature set, while others on another aspect. Hence, aside from best-in-class awards we provide specific recognitions, such as, Most Customizable Software, Best Free Trial, Exceptional Customer Support, Best Mobile Support, etc. These awards are helpful to draw attention to your software’s value proposition or its unique feature that makes it to stand out. Examples of quality certificates your product can get. Of course, you should get your product listed first to enjoy the mileage provided by B2B review sites. Getting listed on FinancesOnline is free and easy. Just request a review of your product here. You should also explore and get listed on other top business solution marketplaces. Email marketing is still one of the most effective lead channels. It’s considered one the best digital channels for B2B. The open rate for email marketing is somewhere at 21% CTR (GetResponse study). Once a prospect signs up to your offer that’s your foot in the door, allowing you to nurture it towards a deal. Sure, that’s a long road to a close but lead nurturing is set in motion and the prospect fed into the marketing funnel. The challenge is how to prod strangers to sign up. Lead magnet. This is your compelling offer that motivates prospects to sign up. It can be a deal, exclusive offer or white paper (your content marketing gets into play here). Subject line. It should tell prospects at once the value you’re putting on the table. There’s a whole art in creating catchy subject lines, for instance, these WordStream email techniques, which generally point to short and crisp writing. Landing page. This is where prospects are led to for the actual sign-up, hence, a landing page should be clear on your offer and call-to-action, the steps to take. Segmentation. Email marketing is hardly mass promotion. It is best optimized via segmenting prospects based on various factors, for instance: engagement level; stage in the lead nurturing pipeline; and demographics. Metrics. The key to a high conversion rate is to build on the previous campaign. And the best way to know how is to measure post-event outcomes such as open rates and click-through rates. Email marketing is now made more accurate, insightful with drill-down analytics and automated with email marketing software. In our database of email marketing vendors alone you have dozens of options. You can also check our email marketing software guide to learn the basics, benefits, features to consider and potential issues on this software category. Social media has a place in B2B SaaS marketing. After all, a huge chunk of the worldwide population is now connected online via social networking sites. One such site is LinkedIn. Compared to other social media channels, this drives a majority of social traffic to blog sites and websites so advertising through this channel will surely boost your online presence. LinkedIn’s Sponsored Content allows you to reach out to professionals who match your buyer personas. It allows you to share industry news that relate to your product, curate relevant content, repurpose your own content and embed rich media like videos, audio and SlideShare files. It also has tools for lead gen forms, audience targeting and network effect (beyond the LinkedIn universe). If this is your first time to use Sponsored Content getting started is fast. Just check the social network’s guide on how to prepare a LinkedIn ad campaign. Be concise. Write concise headlines, no more than 150 characters and keep descriptive copy under 70 characters to avoid critical information being truncated. Use large images. The recommended size is 1200 x 627 pixels wide. According to LinkedIn larger images get up to 38% higher click-through rates. Place clear CTA. Be precise on the action to take. Is it to download an ebook? Sign up for a free trial? Read industry report? Follow the ad specs. LinkedIn has specific rules on ad Sponsored Content ad creation. Make sure to keep to the specs to get your ad running smoothly. Target the right audience. LinkedIn allows you to target audience based on three criteria, one of which is location. Make sure, though, the criteria is not too specific as to narrow down your audience. 5. What is Lead Generation in Facebook? Facebook should also be a part of your best SaaS marketing strategies. Some may argue that Facebook is for B2C, but you ignore the world’s largest social network at your own peril. For one, Facebook Lead Ads, its PPC product, can be your gateway to mobile users. Why is this important? A BigCommerce research showed that 42% of B2B buyers use their mobile device in a business purchase. Wouldn’t they be far off checking their Facebook page during the moment? Another thing, you can, in fact, use to your advantage this office pain point: employees spend about 2 hours a day slacking off online. That’s a good time to catch their attention, too. Facebook Lead Ads works right inside the newsfeed and lets you signal your business intent conveniently for prospects. Users can sign up to your offer with just two taps. It has tools for target marketing and customization also. How do you get started with Facebook Lead Ads? The social network provides a clear guide on how to create Facebook ads including setting up your Page and Ads Manager. You’ll notice that at the core of B2B lead generation best practices above is content. With a rich bank of guides, webinars, blog posts, white papers and other value pieces you’re giving potential customers more reason to engage you. And where better to engage them than in a marketplace where they are already shortlisting you and your competitors. Having your product listed in our directory is easy when you request a review for your product here.